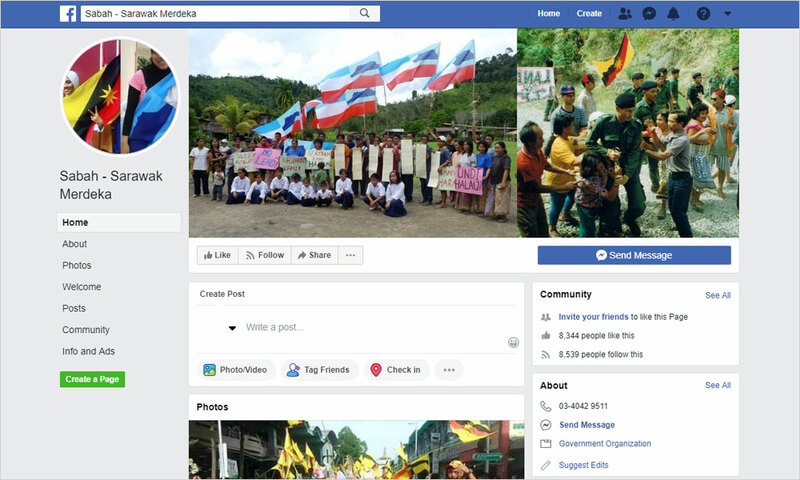 According to Inspector-General of Police Mohamad Fuzi Harun, police have intensified their efforts to track down the owner of the Sabah-Sarawak Merdeka page. The page was alleged to have contained a photograph insulting the king. "Even though Facebook has restricted the Facebook account in question and (the page) is no longer accessible, the public is advised not to share any screenshot of the inappropriate posting created by the account through any communications network or social media. "This is as the posting could cause extreme provocation and could disrupt public peace," Fuzi said in a statement this morning. The Communications and Multimedia Commission is also reportedly carrying out investigations to identify those responsible for uploading the image onto Facebook on Thursday. Umno, meanwhile, denied any involvement with the page, which lists the official party headquarters phone number under its contact details. Umno stated it had not given anyone permission to set up any such Facebook page, or establish presence on other social media networks.